The chief benefit of the WindsorUrban rebrand is that the company’s vision and personality across traditional and interactive media now has the same voice. The new brand accurately reflects the company’s personality and supports the sales and marketing team. 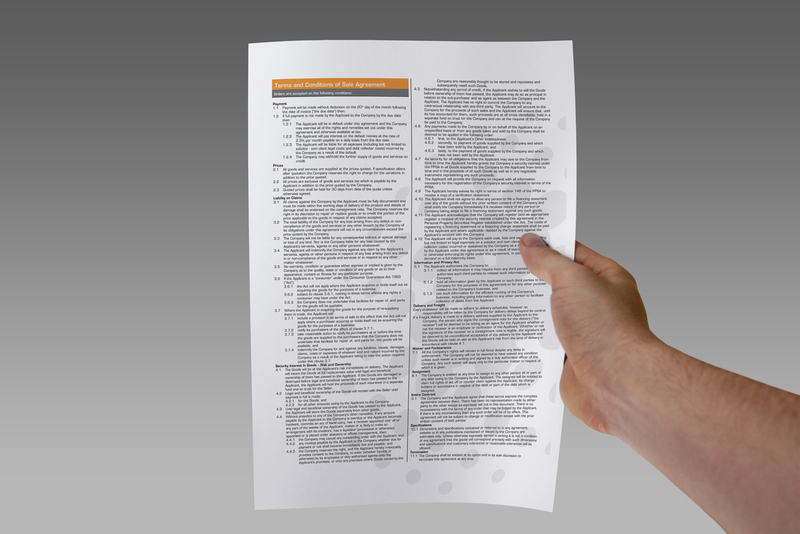 A well-written and perfectly formatted Microsoft Word quote document that’s high on readability and clearly laid out information makes the job of responding quickly to client requests, and of presenting a professional image, a lot easier for the sales staff. The purpose of the rename and rebrand was to reposition the image of the legacy Windsor Heritage street lighting and street furniture brand to a modern design look. Modern design means minimal—easy to follow, simple type and few colours, one hard-edged typeface family, consistent with the new WindsorUrban brand. I have designed hundreds of complex business documents, they are essential business tools that establish a dialogue between your business and the end user. 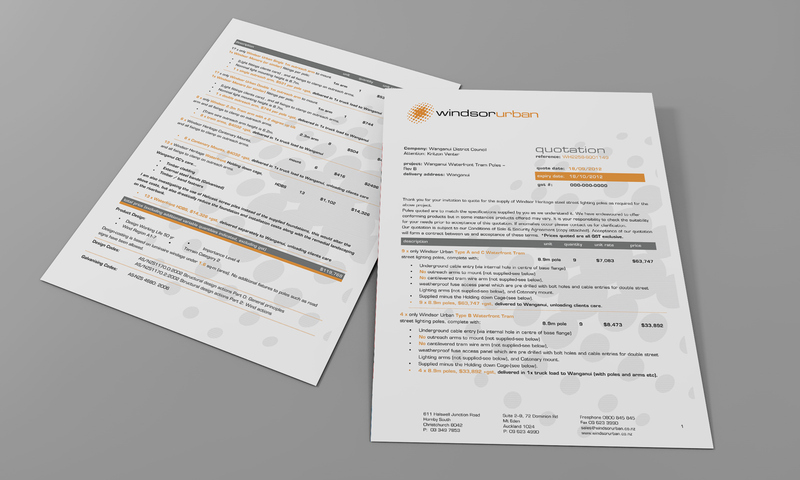 The clear, energetic result is because with all the page elements working together with the new brand, the quote document is part of the same brand experience as the new WindsorUrban catalogue website. The repetition of shapes, typeface and colours results in separate media feeling like one beautiful place. The chunking of form information into smaller groups makes evaluation by the end user much easier.